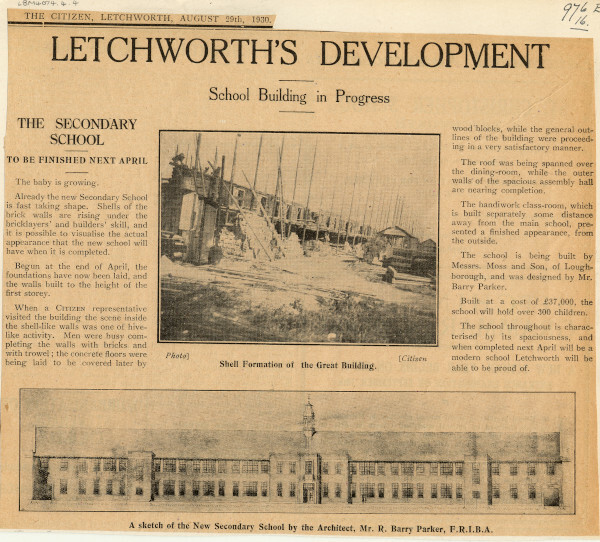 Newspaper cutting titled Letchworth's Development. Article describes the construction of the secondary school building. Article contains 2 images, one is a photo of the current progress of construction and the second a sketch of the school by Barry Parker.